Jackson Lake, called an “Oasis in the Plains” by no less than novelist and Colorado native James Michener, is ranked one of the “Top 15 Park Beaches” by Reserve America. 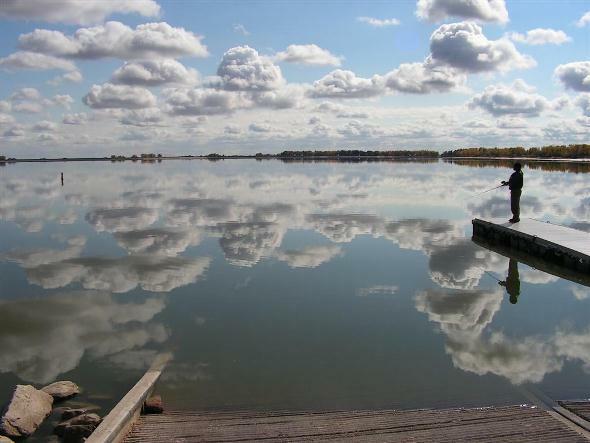 In fair weather, Jackson Lake State Park offers swimming, boating, fishing and waterskiing, as well as land-based activities of all kinds, many of them year-round. Camping is available all year with 260 campsites, including a group campground with 18 sites and a group picnic area for up to 100. An OHV track is available for four-wheelers and dirt bikes. Shoreline Marina on the west side of the lake rents fishing boats, Jet Skis, ski boats and equipment. A four-lane boat ramp is also available. Swim beaches on the west and south shores are usually open from Memorial Day weekend through Labor Day weekend. Pets are not allowed on the swim beaches or in the water. Outdoor weddings are a specialty as well. Park hours: Open 24 hours a day, quiet time 10 p.m. to 6 a.m.
Office hours: 8 a.m. to 4 p.m. 7 days a week, as staffing permits.